BLACK ZOMBIE is a feature documentary about the most popular, yet misunderstood monster of our time. It is also a film about the long term consequences of cultural appropriation. The film will trace the evolution of the zombie from its origins in Haiti to its dominance in Hollywood, ultimately revealing its little known connection to slavery and movements of resistance. Unbeknownst to most, the zombie is actually a Haitian Vodou metaphor for slavery. In 17th century Haiti, formerly known as the French colony of Saint-Domingue, enslaved Africans believed that death allowed them the freedom to return home to West Africa where they would live a peaceful afterlife. However, this passage could be stopped, if an evil landowner turned them into a zombie, forcing them to work the plantations for all eternity. As a result, the zombie represented a loss of agency not only in the present, but also in the hereafter. 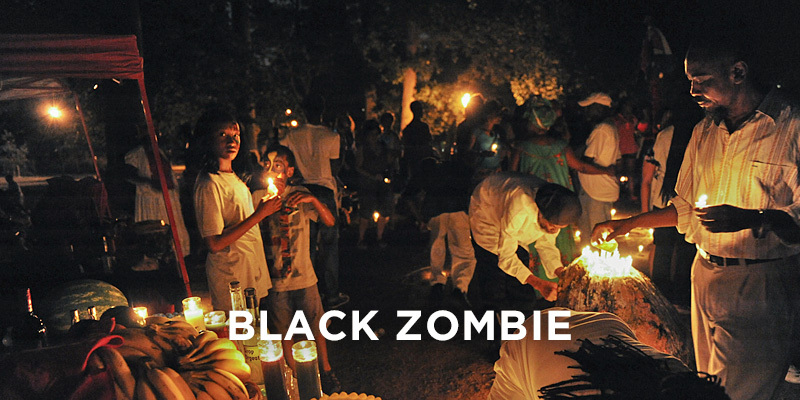 BLACK ZOMBIE will explore how European colonialism and American imperialism tried to erase the true meaning of the zombie and its connection Haitian Vodou. On a higher level, it will explore how these historical events have distorted, disparaged and buried important and often transformative elements of Black culture and history. Finally, it will examine why the zombie has become a popular character for our time, and how despite the exploits of a multi-billion dollar horror industry, today’s flesh-eating zombie still holds underlying truths to the original Vodou mythology.